Swimming opens up physical activity among individuals with disabilities and is a popular sport due to its zero gravity benefits. The Hippocampe Pool Wheelchair, by Vipamat is designed to simplify access to aquatic activities. It eliminates the need for multiple transfers as users take the Hippocampe into the changing room, facility shower and the pool. As a sport mobility wheelchair, it's made with durable rust-proof stainless steel and anodized aluminum to allow the Hippocampe to be fully submerged in water. 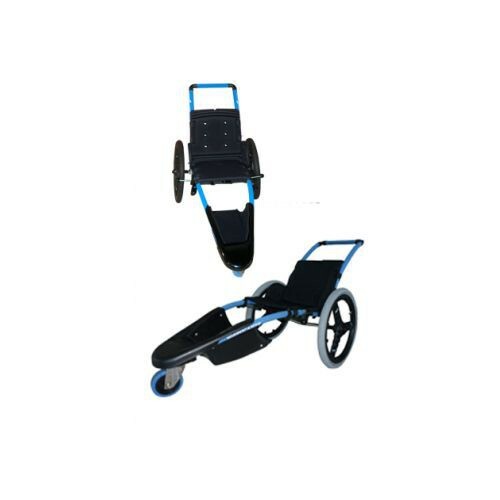 The large wheels help the user freely navigate the wheelchair and the push bar provides safe assistance when going down pool stairs. 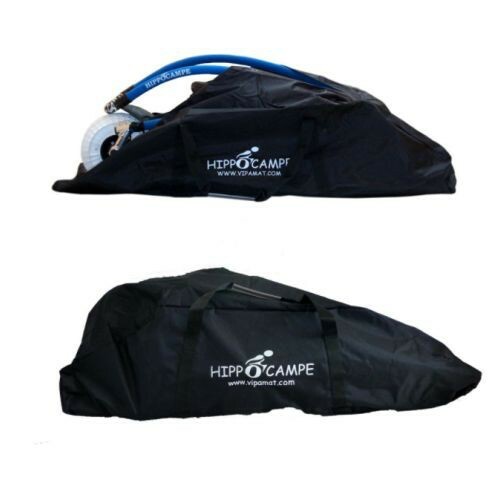 The modern design of the Hippocampe Pool mobility aid supports up to 286 pounds. The frame is coated with blue colored foam to add style but as a safety measure. The specialized foam makes the tubing always safe to the touch when user is enjoying the outdoors during the summer heat. The seat and footrest are made from water-proof hydrophobic foam and the seat is covered in quick drying fabric to avoid skin breakdown. The Hippocampe wheelchair is easy to maintain by rinsing and disinfecting the chair after each use. It's also foldable for compact storage in a car. You may want to check out Vipamat's Beach & All-Terrain Wheelchair that's made to enjoy water sports and outdoor terrain.